Do you have Camfil Farr, Donaldson Torit/DCE, Filtaire, Mideco, Mikropul, Wam, dust collector systems or other brands that require servicing? Talk to us at 1800 786 642. We ensure your dust collector systems are working as effectively as the day they were installed. Note that Pneuvay is not an exclusive service agent for Camfil Farr, Donaldson Torit/DCE, Filtaire, Mikropul, and Wam equipment but can service and supply consumables for these machines as required. Our Service Department is fully equipped with all the necessary resources and personnel to ensure that your equipment lasts as long as possible giving lower operating costs due to reduced down time. 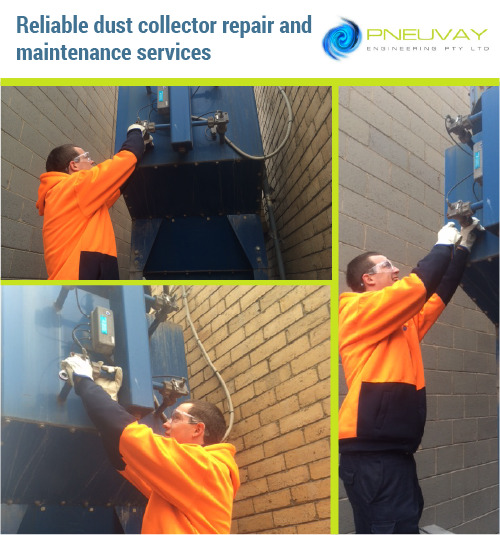 Learn more about our dust collector repair and maintenance services. 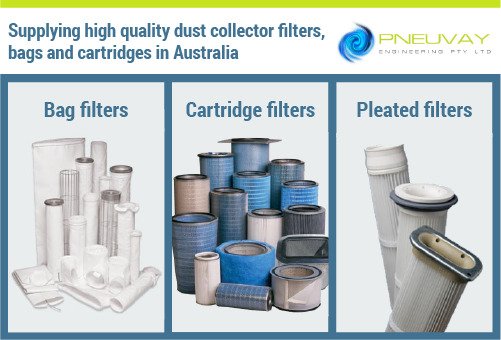 We supply high performing filters, cartridges and dust collector bags that meet and exceed OEM specifications for various types of dust collector systems. Do you need a custom-made filter bag for your dust collector system? Tell us your specific requirements. Contact us online today. Pneuvay Engineering takes pride in delivering more than 30 years of reliable pneumatic conveying and dust collector repair and maintenance services to many businesses. We continue to improve the services we provide by incorporating state-of-the-art-technology in our processes. Watch how our Service Information Technology Engineering (SITE) system makes our dust collector repair and maintenance services more efficient. Ensure your dust collector systems are working efficiently. Call us at 1800 786 642, today.